Are you looking for House removals in Slough? House removal is very easy for our team. We offer you quality domestic and commercial removal, storage and packing services. We also offer the best quality removals at the most competitive prices with over 2 decades of experience. Our expertise revolves around House removals in Slough. Whether you’re looking for a local or national move, we can cater to all individual requests. Export wrapping, fragile or full packing and secured storage are just a few of the high-quality facilities that we provide for House removals in reading. Our team has a great deal of experience in handling high-value moves including delicate goods, such as antiques, pianos and fragile china sets. With us, you get a professional team, which offers great service. Plus, we are just a call away! Our team is apt to provide a fast, reliable and professional service and also Provides House removals in reading. Furthermore, we take good care of your items, and customers are our first priority. You can reach out to us 7 days a week, including bank holidays, evenings and at short notice. Lastly, additional men are also available if necessary. 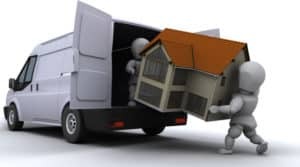 We know just how stressful moving can be for you, and we do our best to make things easier for you because we provide best services of House removals in slough. Most of our remarkable services are Removal, Packing, Storage and After Removal Cleaning Services. Our goal is to take removal service to the next level for you. Our experts are here to take care of your belongings with great respect and professionalism. We deal with professional and highly trained staff, who are there for you whether you are moving your Home or Office. Moving fragile and high-risk items is part of their job such as pianos, valuable pictures, delicate furniture, glass, mirrors etc. Your kitchen will be fresh and clean at the end of our comprehensive service. You are living in slough and need House Removals in Slough or House removals in reading, you will be happy to know that we provide Professional movers services for our respected Clients with lowest rates. Our amazing multi cleaners will make your bathroom neat and clean. We start with the bathtub for which we use lime-scale removers, then we go on to the basin, along with the tiles. We also scrub the shower cabin. The shower, which is often dirty, will look great after a through scrub-and-rub. Don’t worry, as we also rub the base of the shower cabin, the mirror, all walls, if possible. Furthermore, we also clean the inside-and-outside of all cabinets and pieces of furniture. Then, our team sweeps and mops the bathroom floor with special cleaning products for disinfection. Looking for house removals in Slough and cleanup services in Slough? There are many companies in Slough but “Decent Removal” is one Best House Removal Company, and offering best House removals in reading.